Oxandrolone (Anavar) is a very mild anabolic steroid (DHT derivative) with low androgenic activity that is not aromatized. 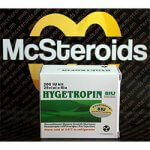 It is used for moderate muscle growth with simultaneous fat burning. Originally, the drug Oxandrolone (anavar) was developed to create a mild, anabolic steroid that could be administered to adolescent children without affecting their size growth. The manufacturer actually succeeded in developing a steroid with Oxandrolon, which does not affect length growth. Oxandrolone can help improve muscle hardness and muscle quality during this phase. But the steroid has another advantage. 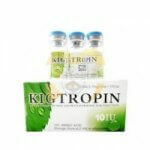 The active ingredient stimulates the creatine phosphate synthesis and provides a good strength gain. This can be further increased by the consumption of red meat and the simultaneous administration of creatine. Athletes who have no competition goals use Anavare to build hard quality muscles. In this case, oxandrolone is stacked with stanozolol. With this stack, the athlete can achieve a great deal of success in building defined and dry muscles within eight weeks. The dosage recommendation for this stack is 50mg Stanozolol every 1-2 days and 30mg Anavar daily. Only downside of the stack, the costs are relatively high. Comforting, the result remains largely after discontinuation over a fairly long period of time. 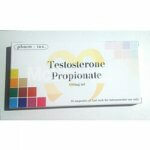 Since Oxandrolone has only a very low androgenic effect, the active substance is quite popular among women. With a dosage of 10-25 mg for 4-8 weeks, the tolerability of Oxandrolone is quite good. Depending on your personal goal, oxandrolone can be stacked in women with nandrolone or boldenone. In the build-up phase 100-200mg nandrolone plus 15mg oxandrolone are recommended. In a diet or competition phase, the stack can then be changed to 100mg Stanozolol plus 15mg Oxandrolone. 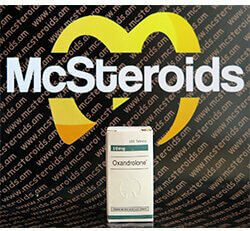 Oxandrolone is a mild steroid, but unfortunately not free of side effects. The active substance causes potentially liver damage and gastrointestinal upset. Androgenic side effects such as acne, prostate growth and head hair loss are relatively rare. Beware of the assumption that oxandrolone would not affect the testosterone balance. Does it and that not completely irrelevant. 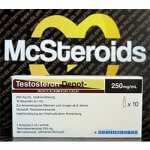 The fact is that even 2.5mg Anavar daily can decrease the testosterone level by up to 50%. This leads to the conclusion that post-circle therapy makes sense even if the active ingredient alone is used. Actually, Anavar is only suitable for beginners and only partially. 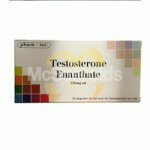 Anavar is not cheap and the injectable drugs testosterone, nandrolone and metenolone achieve a faster buildup. However, those who do not want to do without oxa usually take 15-30 mg / day and spread this dose three times a day. Thus, with a half-life of 9.5 hours, the best results are achieved by keeping the active ingredient in the body as long and evenly as possible.